As I mentioned in the previous post, some days ago we traveled to Bern, Switzerland, to be with my sister-in-law and her family. 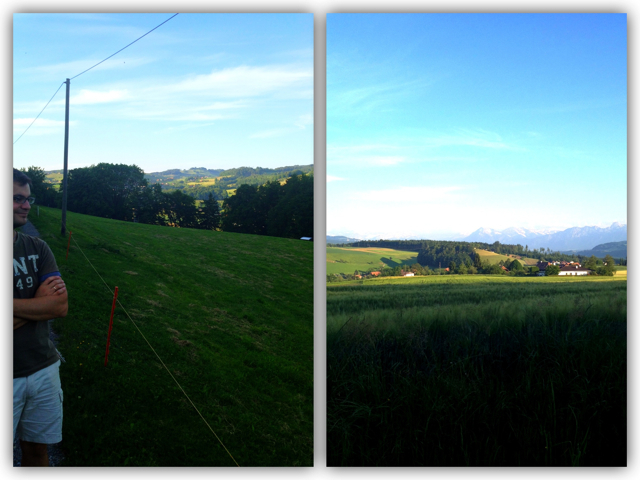 The views in Worb, Bern. Her beautiful family includes 2 of my favorite people in the world: my 3-year old niece (Thalia) and my 6-month old nephew (Konstantinos). I love those two more than I can tell, and I was even more happy that the trip coincided with the 3rd birthday of my niece! As you understand, we could not leave the little girl without a homemade birthday cake! So, keeping in mind the ideas of my sister-in-law and the tastes of my niece (vanilla cream, fresh strawberries, roasted almonds), I made my first birthday cake ever! I don’t have step-by-step photos for this cake, but there are hardly any tricky/difficult steps. 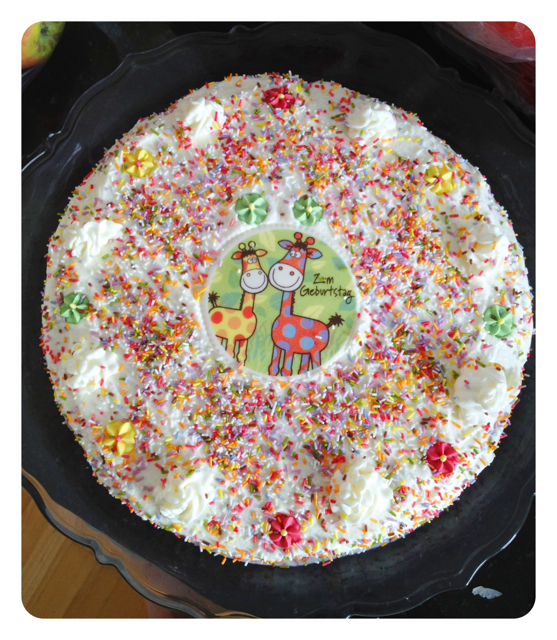 This entry was posted in Cakes, Desserts and tagged almonds, birthday, birthday cake, cake, dessert, layer cake, pastry cream, strawberries, vanilla, whipped cream, yellow layer cake on June 6, 2012 by Villy. That’s right. Homemade. From scratch. And totally worth it! Eclairs probably are my husband’s favorite dessert. 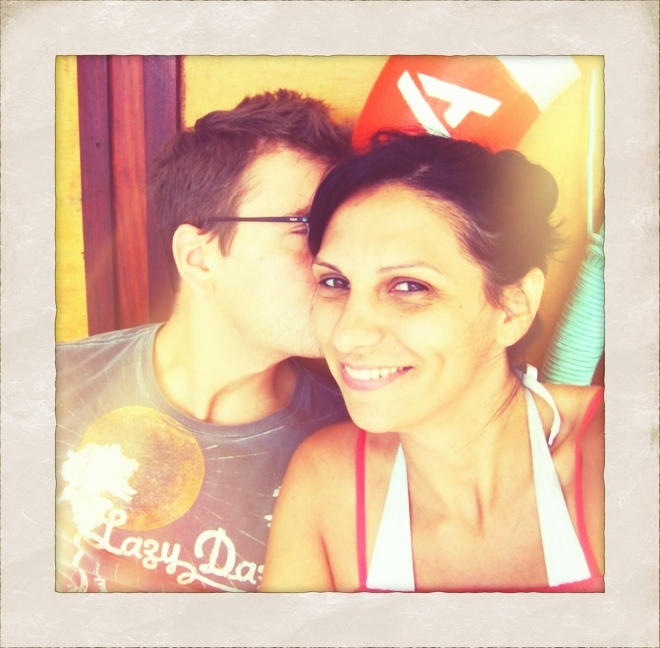 So for me it was something like: challenge accepted! And since it was my first time, I have to say it went reaaaaaally great! 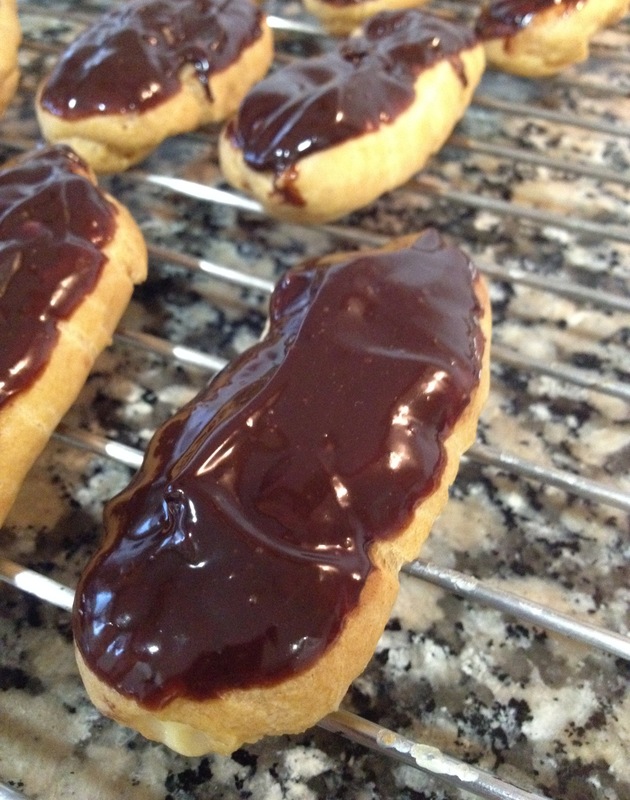 This entry was posted in Desserts and tagged chocolate, dessert, eclairs, pastry cream, pate a choux on March 4, 2012 by Villy.